In this blog post, I show you how I connect to Office 365 Microsoft Exchange from within a Windows Container in a safe and secure method. In this blog post, I will show you how mount a Storage Volume to a Windows Server Container using Docker Destop for Windows on Docker on Windows Server. In this blog post, I will show you how I update my Azure Kubernetes (AKS) node using Azure Cloud Shell and Azure CLI. In this blog post, I will show you how I configure my Azure Kubernetes Development cluster to auto shutdown automatically. In this blog post, I will show you how I connect my Azure Container Registry (ACR) to my Azure Kubernetes Cluster (AKS) and deploy a container from images stored on ACR. In this blog post, we will show you how to manage an Azure AKS cluster using Azure Cloud Shell and the Azure CLI command line. 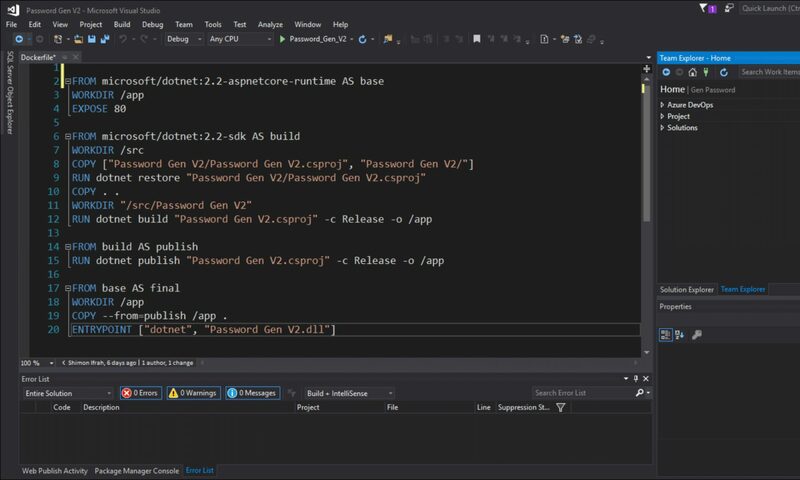 A few days ago, Docker released a new Docker Engine Enterprise edition version for Windows Server 2016 and 2019. After the release of Windows Server 2019 on 2nd of October, Microsoft pushed the release a week later because of complaints of data loss. In this blog post, I will show you how to deploy Containers to Microsoft Azure using Azure Container Instances.